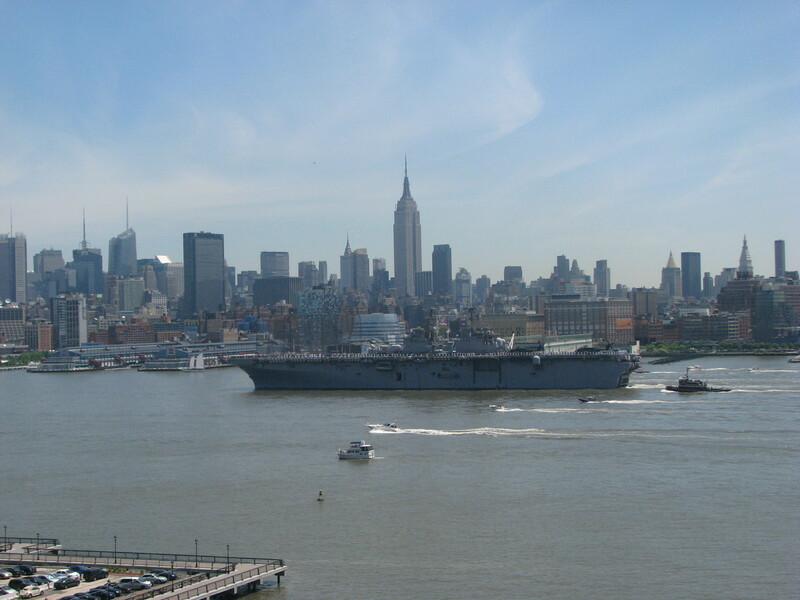 This week is Fleet Week in New York City, and my colleague Alex Sedunov captured hundreds of photos of the march of military vessels up the Hudson yesterday. The weather was crisp, warm and clear, making for a wonderful welcome and a truly great set of shots. 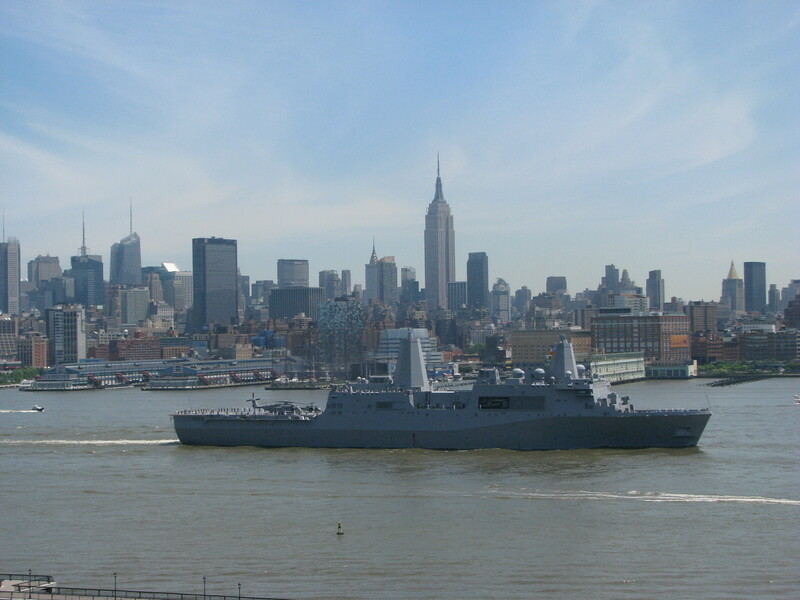 This first shot is of the USS New York, which was built incorporating steel that was salvaged from the World Trade Center, after it was destroyed in the September 11 attacks. 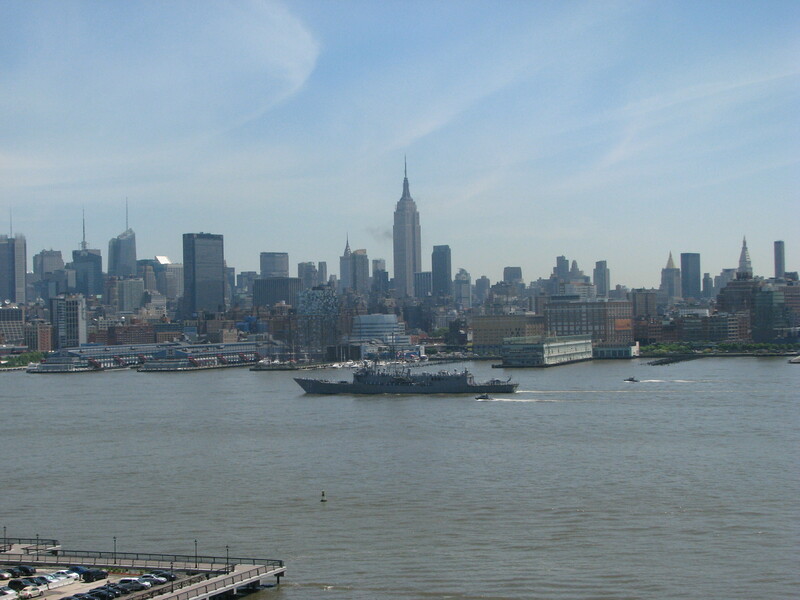 It is docked at Staten Island. 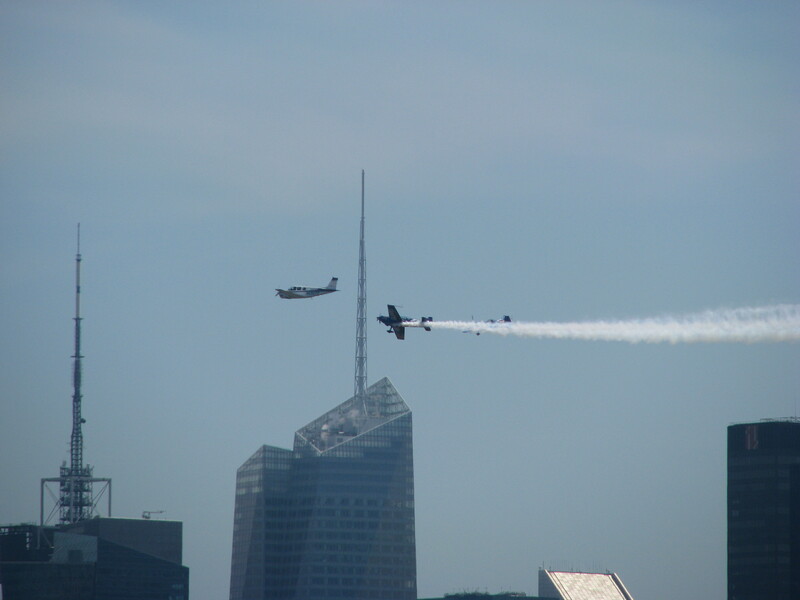 This entry was posted in photography and tagged fleet week, New York City, ships, USS Iwo Jima, USS New York. Bookmark the permalink.